Back on the 23rd November Atom books held an event for bloggers, to introduce them to their upcoming books for 2012. Imagine my shock when they sent me, yes ME an invite!! I nearly bit their arm off with excitement. Hell Yeah did I want to go. 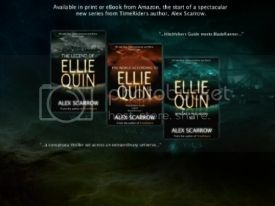 I really do thank Atom for re-invigorating my love of books with the help of Stephenie Meyer. I started my day off by meeting my regular partner in crime Laura from SisterSpooky: Book Fangirl. We got a little bit of christmas shopping in first & by Christmas shopping I mean buying things for myself - whoops!!! I did find a Northanger Abbey comic though!!! We were then joined by the lovely Clover from Fluttering Butterflies. It was the first chance I had to meet her, so my excitability probably made me look rather strange!! We waited as long as we could contain ourselves to go over to the offices. We tried to look kind of cool, but that was never going to happen. We walked into the building which is gorgeous and I let out a loud squeal at seeing the Little Brown sign - Not cool Leanne!!! 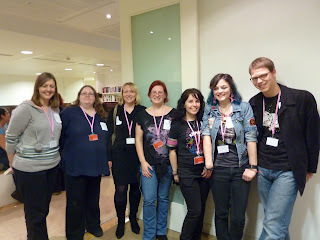 We made it up to the office which was already fairly full of bloggers - obviously we weren't the only excited ones!!! My jaw hit the floor at seeing an array of Atom's YA books all over the tables. I was in book heaven & even got to take a couple that I didn't have. That was like Christmas day for me alone!! We got name badges as we got there, as they were going for a back to school theme. There were some school style nibbles that were YUM!! But not so school style was the delicious wine they had, it was gorgeous. Sadly I had to limit myself to one glass as I am not a big drinker and that one glass went straight to my head. I didn't want to go and make a bigger fool of myself than what I could easily do without any alcohol!! "When everyone is lying, who can you trust? Allie Sheridan's world is falling apart. She hates her school. Her brother has run away from home. And she's just been arrested. Again. This time her parents have finally had enough. They cut her off from her friends and send her away to a boarding school for problem teenagers. But Cimmeria Academy is no ordinary school. It allows no computers or phones. Its students are an odd mixture of the gifted, the tough and the privileged. And then there's the secretive Night School, whose activities other students are forbidden even to watch. When Allie is attacked one night the school begins to seem like a very dangerous place, Allie must learn who she can trust. And what's really going on at Cimmeria Academy"
We were lucky to meet Christi there!! She told us a bit more about the book and how she got her idea. I'm so excited for it!! "The day the blizzard started, no one knew that it was going to keep snowing for a week. That for those in its path, it would become not just a matter of keeping warm, but of staying alive . 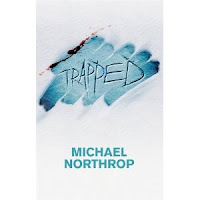 . . Scotty and his friends are among the last seven kids at their high school waiting to get picked up that day, and they soon realize that no one is coming for them. Still, it doesn't seem so bad to spend the night at school, especially when Krista and Julie are sleeping just down the hall. But then the power goes out, then the heat. The pipes freeze, and the roof shudders. As the days add up, the snow piles higher, and the empty halls grow colder and darker, the mounting pressure forces a devastating decision . . ."
"It was like a nightmare, but there was no waking up. 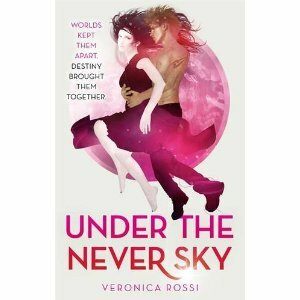 When the night began, Nora had two best friends and a boyfriend she adored. When it ended, she had nothing but blood on her hands. Chris was dead. Adriane couldn't speak. And Max, Nora's sweet, smart, soft-spoken Prince Charming, was gone. He was also-according to the police, according to her parents, according to everyone-a murderer. Desperate to prove his innocence, Nora's determined to follow the trail of blood, no matter where it leads. But Chris's murder is just one piece in a puzzle that spans continents and centuries. Solving it may be the only way she can save her own life." How cool does that sound?? This has been described as The Da Vinci Code meets Die For Me - what an awesome combination, very eager to read this one!! "Aria is a teenager in the enclosed city of Reverie. Like all Dwellers, she spends her time with friends in virtual environments, called Realms, accessed through an eyepiece called a Smarteye. Aria enjoys the Realms and the easy life in Reverie. When she is forced out of the pod for a crime she did not commit, she believes her death is imminent. The outside world is known as The Death Shop, with danger in every direction. They come together reluctantly, for Aria must depend on Perry, whom she considers abarbarian, to help her get back to Reverie, while Perry needs Aria to help unravel the mystery of his beloved nephew’s abduction by the Dwellers. Together they embark on a journey challenged as much by their prejudices as by encounters with cannibals and wolves. But to their surprise, Aria and Perry forge an unlikely love - one that will forever change the fate of all who live UNDER THE NEVER SKY" We ALL Ohhh'd when this one came up. I'm mega excited for it, just as everyone else seems to be. I need to read this NOW!!! "On-stage beauty. Backstage drama. As a dancer with the ultra-prestigious Manhattan Ballet Company, nineteen-year-old Hannah Ward juggles intense rehearsals, dazzling performances and complicated backstage relationships. Up until now, Hannah has happily devoted her entire life to ballet. 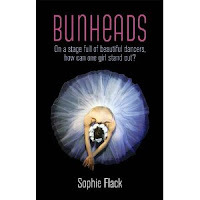 But when she meets a handsome musician named Jacob, Hannah's universe begins to change and she must decide if she wants to compete against the other 'bunheads' in the company for a star soloist spot or strike out on her own in the real world. Does she dare give up the gilded confines of the ballet for the freedoms of everyday life?" I've never really read anything set in the dance area so this will be a very different read for me. Sounds rather awesome though! "Three teenagers are going on the trip of a lifetime. Only one is coming back. 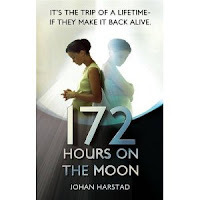 It's been more than forty years since NASA sent the first men to the moon, and to grab some much-needed funding and attention, they decide to launch an historic international lottery in which three lucky teenagers can win a week-long trip to moon base DARLAH 2-a place that no one but top government officials even knew existed until now. The three winners, Antoine, Midori, and Mia, come from all over the world. But just before the scheduled launch, the teenagers each experience strange, inexplicable events. Little do they know that there was a reason NASA never sent anyone back there until now-a sinister reason. But the countdown has already begun. . ."
Once again this is a different read for me, but I was instantly captivated by the sounds of it. I have very high hopes for this one!! "Jeane Smith is seventeen and has turned her self-styled dorkiness into an art form, a lifestyle choice and a profitable website and consultancy business. She writes a style column for a Japanese teen magazine and came number seven in The Guardian's 30 People Under 30 Who Are Changing The World. And yet, in spite of the accolades, hundreds of Internet friendships and a cool boyfriend, she feels inexplicably lonely, a situation made infinitely worse when Michael Lee, the most mass-market, popular and predictably all-rounded boy at school tells Jeane of his suspicion that Jeane's boyfriend is secretly seeing his girlfriend. Michael and Jeane have NOTHING in common - she is cool and individual; he is the golden boy in an Abercrombie & Fitch T-shirt. So why can't she stop talking to him?" 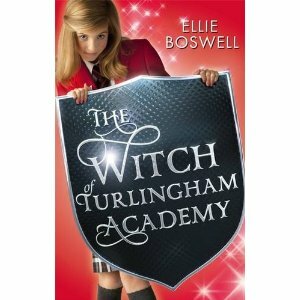 "It's not easy being the only day girl at Turlingham boarding school: Sophie misses out on all the midnight feasts and late night gossip. Things take a turn for the worse when a new girl - Katy - shows up and all Sophie hears is Katy, Katy, Katy from her friends. It's like she's put a spell on everyone. Katy's no witch, but there is a witch at Turlingham. 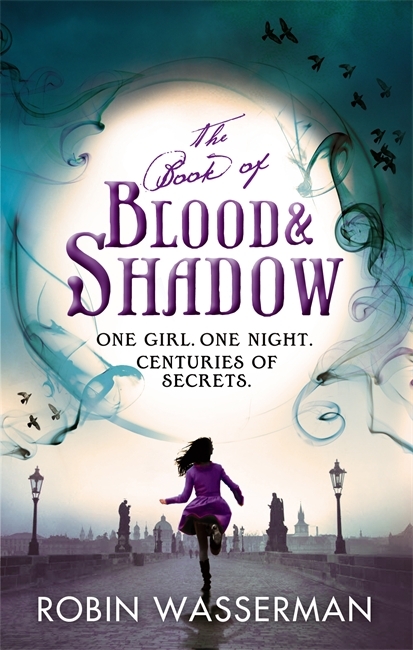 Katy comes from a long line of witch hunters whose fate is to stop evil magic once and for all. Sophie is going to help her - anything to get Katy out of her life and get things back to normal. But what she finds out means nothing will ever be normal again!" This is kind of Worst Witch sounding, which I think is quite exciting. There is also a hint of Enid Blyton to them, which sounds fab!! 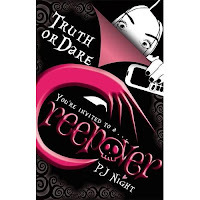 "During a round of Truth or Dare, Abby Miller confesses her crush on Jake Chilson. The only people who know her secret are her friends at the sleepover - and whoever sent her a text message in the middle of the night warning her to stay away from Jake...or else! But Abby isn't going to stay away from Jake, especially not after he asks her to the school dance. As the night of the dance comes closer, some very creepy things start happening to Abby. Someone definitely wants to keep her away from Jake. Is it a jealous classmate or, as Abby begins to suspect, could it be a ghost?" These are Ghostbumps sounding but aimed more at girls - hooray!! Girls like a bit of a scare too sometimes!! There are a few titles to come in the new year - worth a check out I think! "Athena The Brain: Athena has always been above average. She has never quite fit in at Triton Junior High, but who would've guessed that Athena is actually a goddess? Principal Zeus's daughter, to be exact. When she's summoned to Mount Olympus Academy, Athena thinks she might actually fit in for the first time in her life. But in some ways, school on Mount Olympus is not that different from down on Earth, and Athena is going to have to deal with the baddest mean girl in history: Medusa!" This sounds a fab series. Telling a modernised tale of how the greek goddesses got their powers and made it to their future destinations. Sounds like a really cute, fun new take!! After the amazing presentation we were led back out to the main meeting room, where we were each given a House of Night tote bag that had more goodies inside. We all got copies of Night School, Trapped, 172 Hours On The Moon & The Witch Of Turlingham Academy. More sqeauling occured I am afraid to say. I just get so excited by books!! 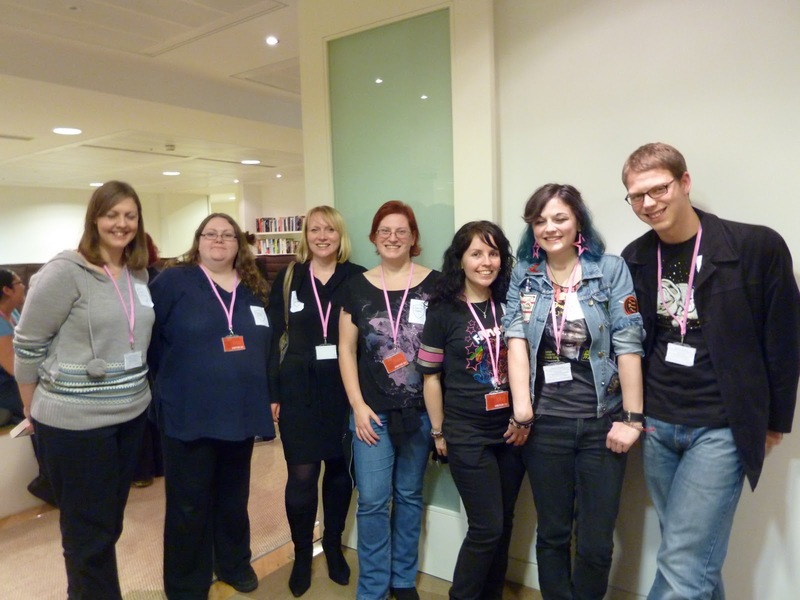 We went back to mingling and major geeking out about the books we love. Christi came over and we had a really fun chat with her about our love of caffine - we are all self confessed addicts!!! Christi kindly signed our books - she said it was her first time signing things for fans so we were all thrilled to be her firsts. We had a bit more chatting and basic excitedness and then sadly had to make our way home, but not before the Atom guys took this awesome picture of some of us bloggers - Awwww!!! Many Thanks to everyone at Atom for making this such a special evening for us all!! I hope to get my post up tomorrow. So late in getting it written. It was lovely to see you though.